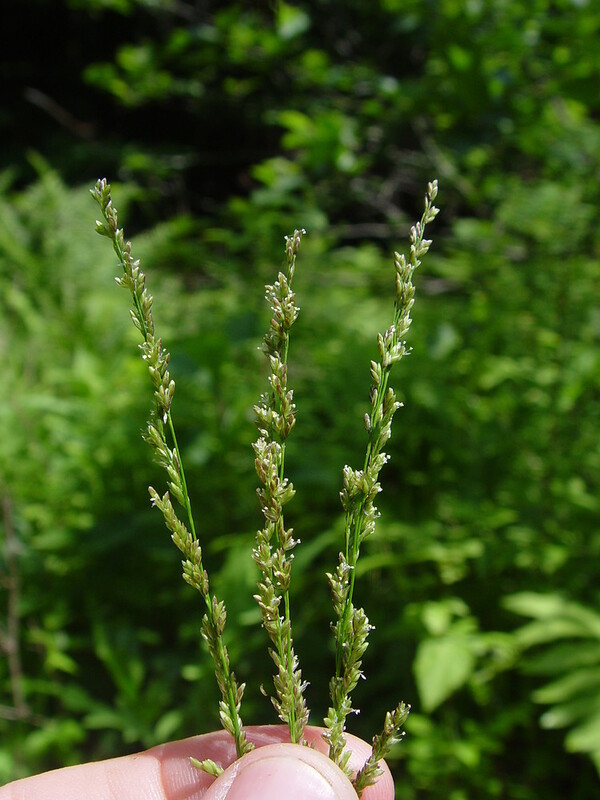 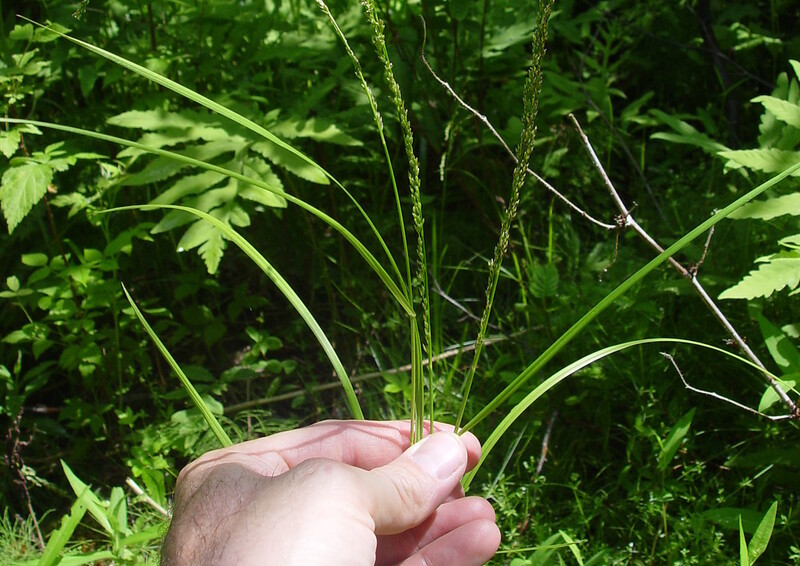 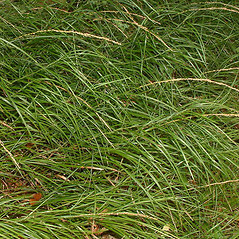 Northeastern manna grass is a grass found in grassy wetlands throughout New England. 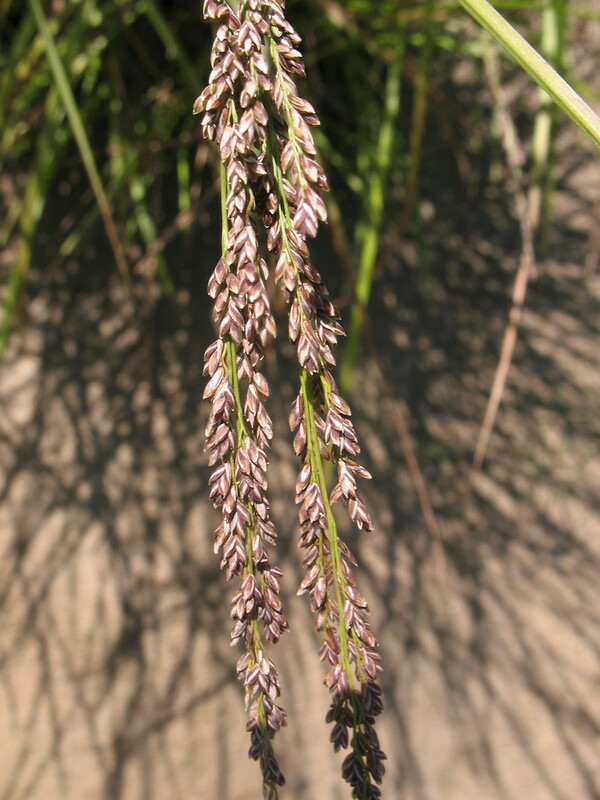 Look for a narrow, arching or nodding inflorescence about 20 cm (8 inches) long with 3.5-5 mm (< 1/4 inch) long spikelets. 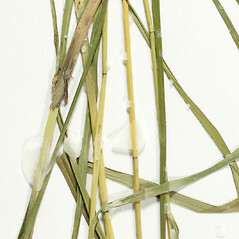 leaf sheaths open and not fused at the margins, ligule a band of hairs, and lemmas with three veins (vs. G. melicaria, with leaf sheaths closed and fused at the margins, ligule a membrane, and lemmas with 5 or more veins). 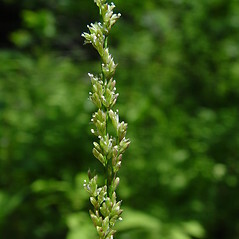 inflorescence erect, ovoid to obloid, with 3–8 branches at each node, mostly 5–15 cm long, with internodes up to 2.5 cm long (vs. G. melicaria, with the inflorescence arching to nodding, narrow-cylindric, with 1–3 branches at each node, mostly 15–25 cm long, with internodes 2–7 cm long). 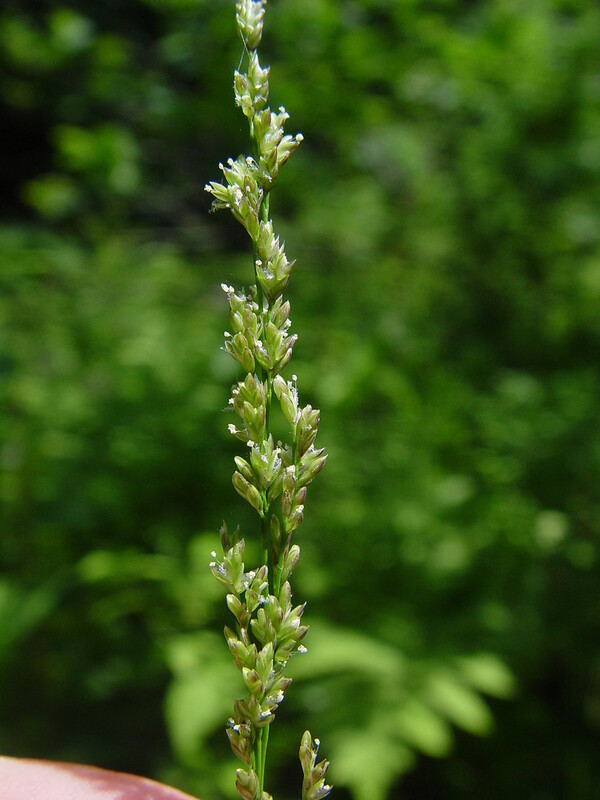 Panicularia melicaria (Michx.) 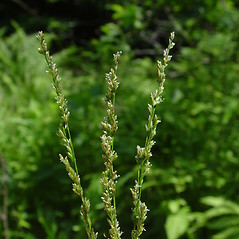 A.S. Hitchc. 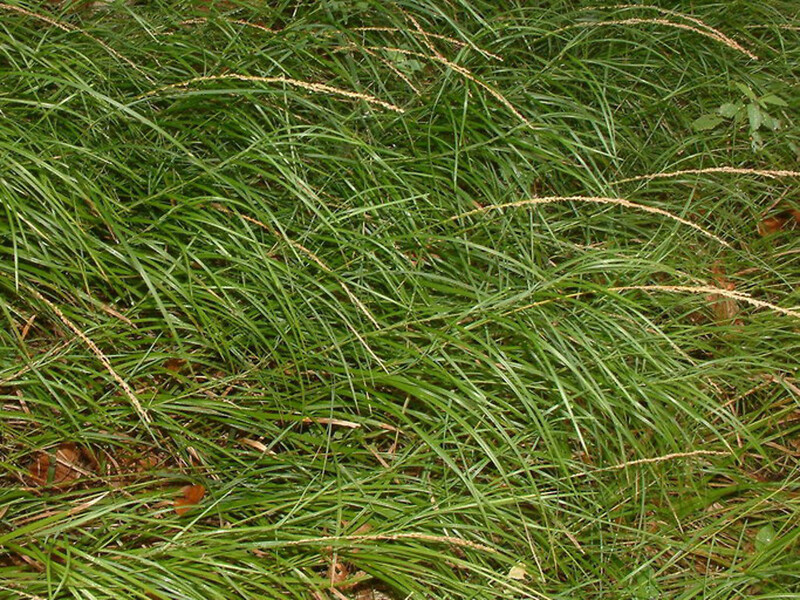 northeastern manna grass. 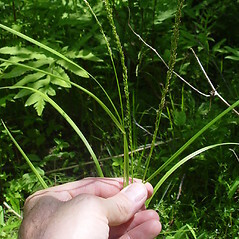 Panicularia melicaria (Michx.) 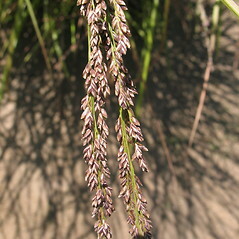 A.S. Hitchc. 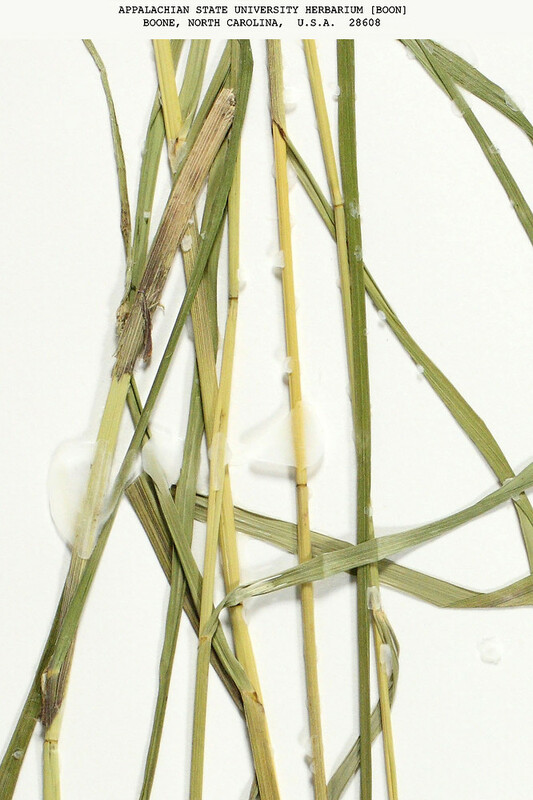 • CT, MA, ME, NH, RI, VT. Graminoid marshes, open swamps, shorelines.